Pilot Crossover Project - Are You Crossover Ready? Pilot Crossover Project - Are You Crossover Ready? Where would you like to see a crossover? 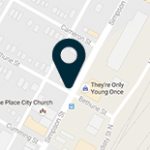 The City looked at seven priority locations for Thunder Bay’s first crossover. Administration recommended that Thunder Bay’s first crossover be installed at Algoma St. and Cornwall Ave. On August 15, 2016, City Council approved this location. 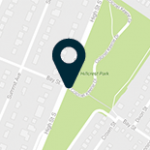 The City is planning on having it operational by mid-October 2016. 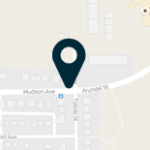 From a constructability perspective, the site has good street lighting, curb extensions that reduce the crossing distance for pedestrians and provide space for the new poles and accessible curb ramps, and there are already power sources available. The site is close to Transit stops and the location is strongly supported the Bay and Algoma Business Area. 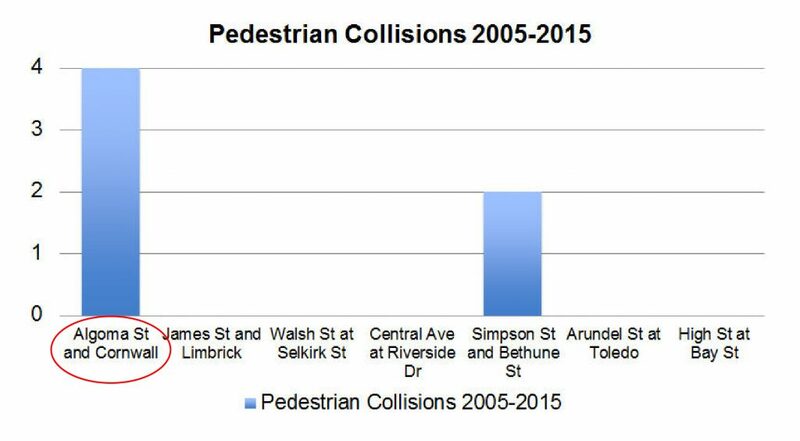 The above graph shows how many vehicles collide with pedestrians at intersections throughout the city. 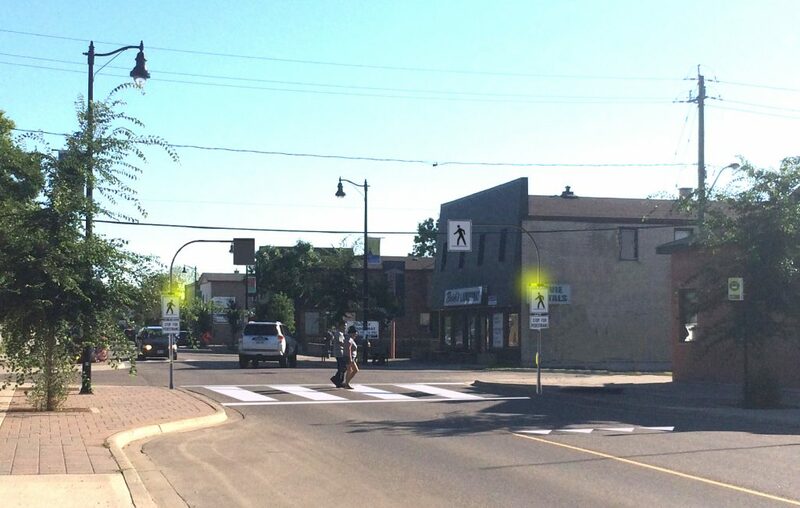 Algoma and Cornwall has the highest rate of pedestrian collisions from 2005 until 2015. 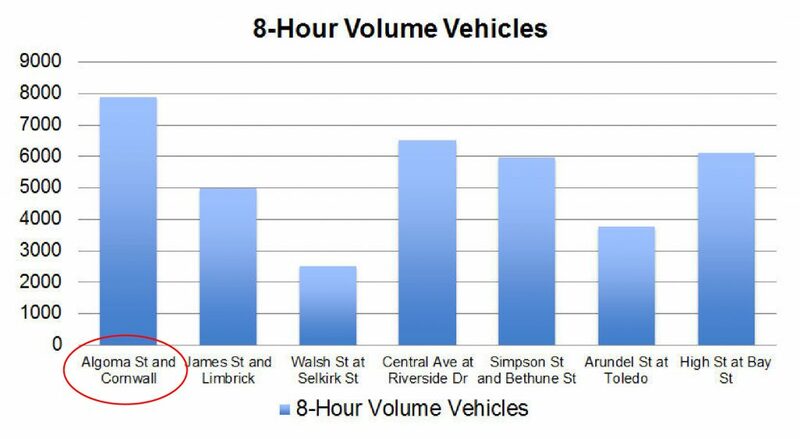 The above graph shows the volume of vehicles in an 8 hour time frame. 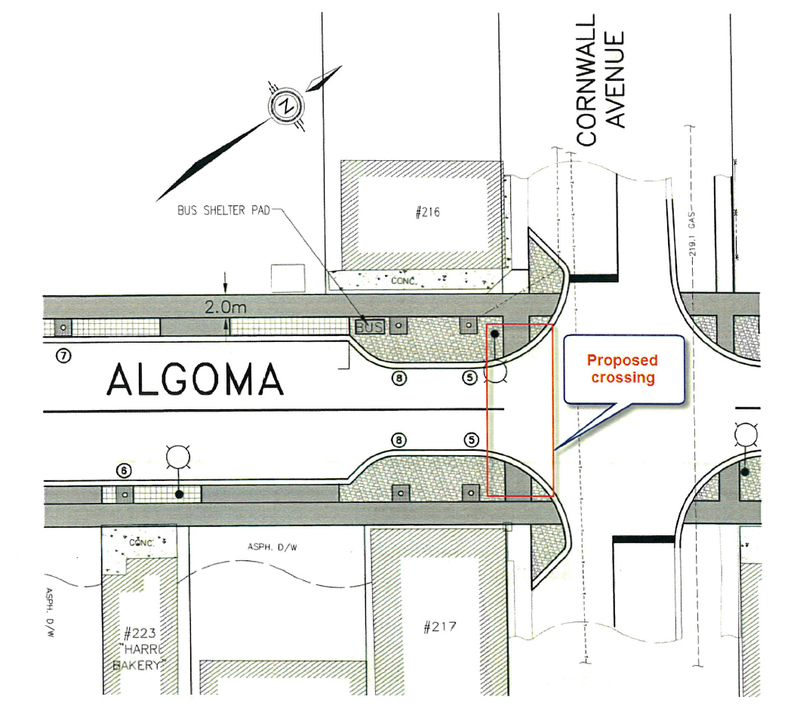 Algoma St and Cornwall is the busiest, not only in vehicles crossing, but also in pedestrians corssing, as shown below. 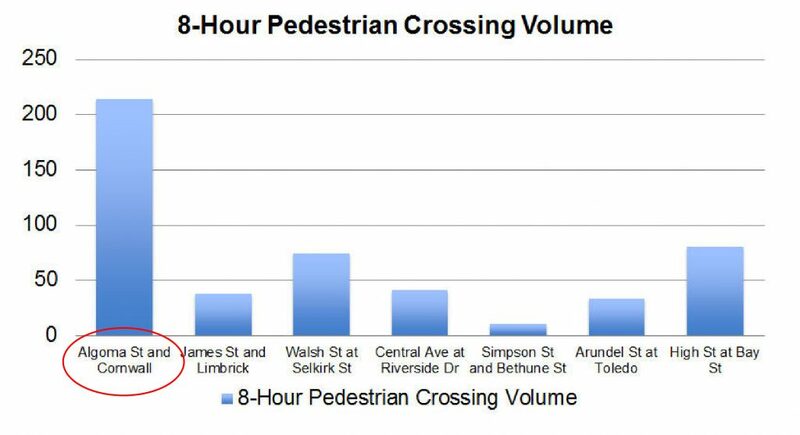 The above graph shows the volume of pedestrians crossing the street in an 8 hour time frame.